With the Freshcut app, you can save and show your favorite past haircuts to any hairstylist for the perfect re-creation. Every time. If you like your cut, use the app’s guided process to quickly record your haircut profile. 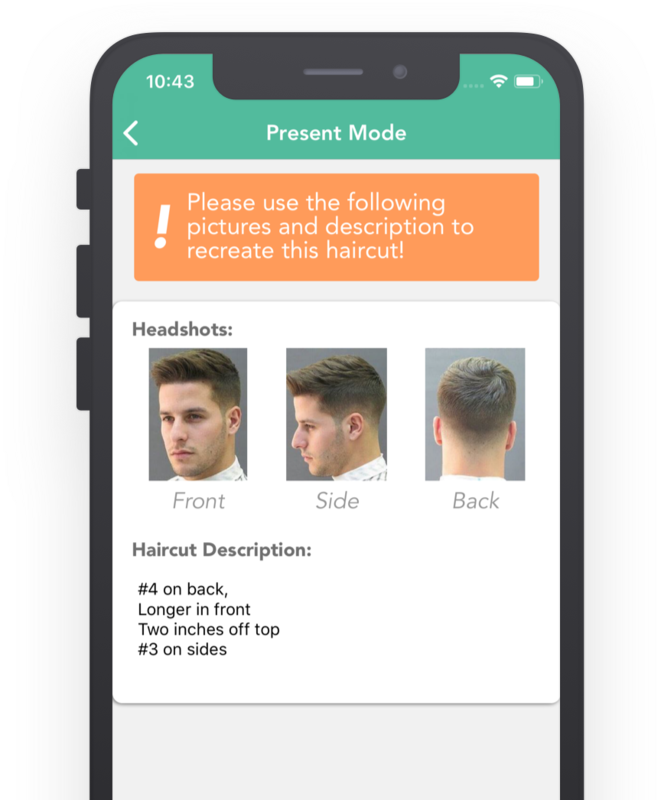 Easily present your haircut profile next time you get a haircut from any barber for a perfect, fresh cut. Most people aren’t great at telling their barber how they want their haircut. This leads to poor, inconsistent haircuts, even if you try to get the same “ideal” haircut every time. We interviewed numerous hair stylists to understand what information they would find the most useful from a customer to provide a great haircut, and we created an app to help you do it! Try it out for free now!